Barking & Dagenham Council is consulting all interested parties on plans to renew their selective landlord licensing scheme for a further five year. The current five-year additional and selective licensing schemes came into force in September 2014. They apply borough wide and are due to end in August 2019. The selective licensing consultation started on 21 September and will end on 15 December 2018. As part of the consultation, the council have published a 192 page report plus appendices which can be downloaded from the council’s website. It is believed the council will consult separately on plans to renew their additional licensing scheme, as it does not feature in the consultation. Between 2011 and 2017, the council say the private rented sector increased from 17.7% to 27.7% of the housing stock, comprising an estimated 20,115 properties. The concentration of private rented properties is highest in the Abbey ward at around 55%. Whilst anti-social behaviour is still viewed as being a problem, the council note that there has been a significant fall in the proportion of ASB reports associated with private rented homes between 2015 and 2017. Other reasons mentioned by the council for renewing the selective licensing scheme include poor housing conditions, high level of migration into the borough, deprivation and crime. 0.5% of licence applications were rejected due to non-compliance. Of concern, the report notes there are an estimated 7,000 to 10,000 private rented properties were no licence application has been submitted, over 4 years after the licensing scheme started. The council report that since the scheme started, there have been 54 landlord prosecutions. The council are proposing to designate a new borough wide selective licensing scheme on 1 September 2019. There would be a two stage licence application fee – an initial fee of £470 with a second installment of £430 once the application is ready for approval. The new application fee of £900 would mark a 78% increase when compared to the fee charged under their current scheme. This would make it the highest selective licensing fee in London. 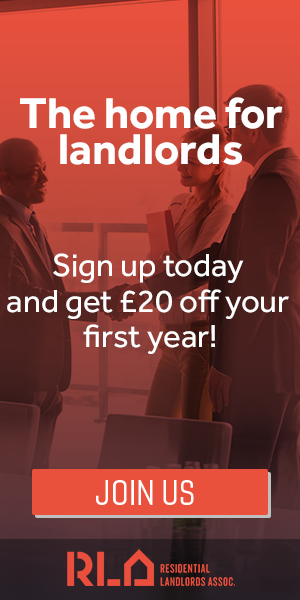 The council say they are considering a discount of up to 50% for compliant landlords who have held a licence in the borough for a minimum of two years and have complied with licence conditions. "Private rental properties are an important piece of the housing sector puzzle and having a licensing scheme in place that is fit for purpose will mean we are able to protect everyone involved. Will the government grant consent? Following a change in the law in 2015, the council must seek Secretary of State approval to implement a selective licensing scheme covering more than 20% of the private rented sector. Given the government’s dislike of blanket licensing schemes, it is unclear whether such consent will be forthcoming. In the neighbouring borough of Newham, the council were required to exclude the ‘E20’ area. In Redbridge, the council had wanted a borough wide scheme, but were given consent for a selective licensing scheme covering around 80% of the borough. For more information and to take part in the consultation, visit the council’s website. Our free guide to the property licensing rules in Barking & Dagenham is available here.